Welded steel pipe is made by steel belt or plates welded together after which bending deformation into round, square and other shapes. Since the 1930s , with the rapid development of high quality strip steel rolling production as well as the advance of welding and inspection technology, the quality of the welds also get improved continuously, and varieties and specifications of welded steel pipe is increasing . Steel technology development and progress are accompanied by a competitive product with seamless. Welded steel pipes gradually replaced seamless in some areas because of product quality and lower production costs. Improving the quality of welded steel pipe products mainly rely on three aspects of technological progress. First, technology improvement of the iron and steel smelting; second, technology improvement of hot-rolled strip steel, technology improvement of the steel pipe manufacture. 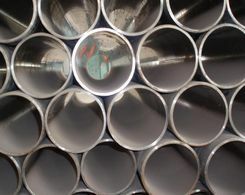 The current welded steel pipe industry has the following characteristics: welded steel pipe's production growth is faster than the growth rate of seamless steel pipe; welded steel pipe output proportionally much larger than the seamless steel pipe; compete with seamless steel pipe in all areas for the market ; ERW welded steel dominates in the welded steel pipe type, and in the use of oil and gas long-distance pipelines, city gas pipelines field has put forword challenge to straight seam submerged arc welding pipe and spiral submerged arc welding pipe for the market. Nippon Steel, JFE and Manlesiman are the most representative in the straight seam welded steel pipe , their production equipment and production technology has got rapid development. Development of new Roll Forming, URD precision molding machines and sizing machines, high-frequency welding equipment and welding techniques, weld heat treatment equipment and technology, nondestructive testing and other new technologies, has been making the straight seam welded steel pipe used widely in offshore and onshore oil and gas delivery. Especially, in recent years, X80 grade steel pipeline and TUF OCTG open up a wide range of fields for the straight seam welded steel pipe application. 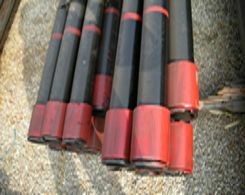 In Western countries, they focused on broadening the application field of ERW welded steel pipe, while in North America ,they focused on the development ERW OCTG applications, especially United States, they have been used ERW casing commonly under 3000 meters deep wells in 1980s, now they has also developed a coiled tubing. Europe represented by Germany , focusing on the development boiler pipe applications , ERW welded steel pipe production are yielded commonly in the low-pressure boiler pipe, accounting for more than half of the total boiler tubes, high-pressure boiler tubes can also use some ERW welded steel pipe. Asia represented by Japan and South Korea, almost fully developed applications range of ERW welded steel pipe, South Korea's total welded steel pipe has occupied more than 98% of total steel production, while ERW welded steel pipe has held more than 90% of welded steel production; In Japan, due to rapid increasing of the welding steel pipe production technology and costs decline, welded steel pipe have gradually replaced some of seamless steel pipe and UOE steel pipe , natural gas pipeline must have high strength, small caliber and thinner, those requirements expanded the scope of ERW welded steel pipe applications. 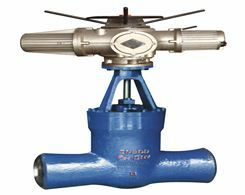 They have used ERW pipes for deep, sour wells, low temperature (cold) and some of the wells with high resistance to squeeze tube wells and deep-sea submarine oil and gas transmission pipelines. At present, medium and large diameter high-frequency welded steel pipes account for a significant proportion in foreign, therefore, ERW welded steel pipe occupy a larger proportion in foreign oil and gas pipelines (including city gas pipelines).